CAPE CANAVERAL, Florida -- The roar of powerful rockets launching from Kennedy Space Center might be heard again in 2014 if President Obama's budget request for NASA is approved by Congress. 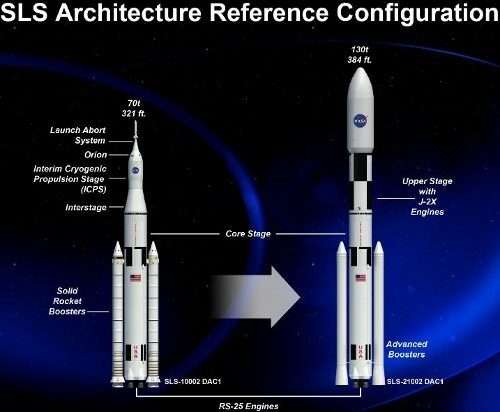 NASA says its $17.7 billion proposed budget fully funds the Space Launch System (SLS) heavy - lift rocket and Orion Multi - Purpose Crew Vehicle, (Orion MPCV) to carry astronauts to deep space, and the systems needed to assemble, test and launch the new vehicles. The funding also enables an uncrewed flight test of Orion in 2014 and the SLS in 2017. The Fiscal Year 2014 proposed budget is $178 million less than the current 2013 budget. NASA's strategy in the FY14 budget is to align relevant portions of NASA’s science, space technology, and human exploration capabilities to send astronauts to an asteroid by 2025 and to Mars in the 2030s. "We are developing a first-ever mission to identify, capture and relocate an asteroid," said NASA Administrator Charles Bolden. "This mission represents an unprecedented technological feat that will lead to new scientific discoveries and technological capabilities and help protect our home planet. This asteroid initiative brings together the best of NASA's science, technology and human exploration efforts to achieve the president's goal of sending humans to an asteroid by 2025." NASA proposes that over $3 billion of its budget be used for research missions related to the continuing operation of the International Space Station. "The space station remains the centerpiece of our human exploration efforts," said Bolden. "It allows us to perform technology demonstrations and scientific research only possible in microgravity, all while helping to improve life here on Earth and plan for missions into deep space." The proposed budget fully funds the Commercial Crew Program to restore America’s human space launch capability by 2017.